Info on the #Nerf Kronos! Revealed at SDCC, here’s the press release on the Nerf Kronos (Deadpool 2-pack). Intensity. Attitude. Tacos. 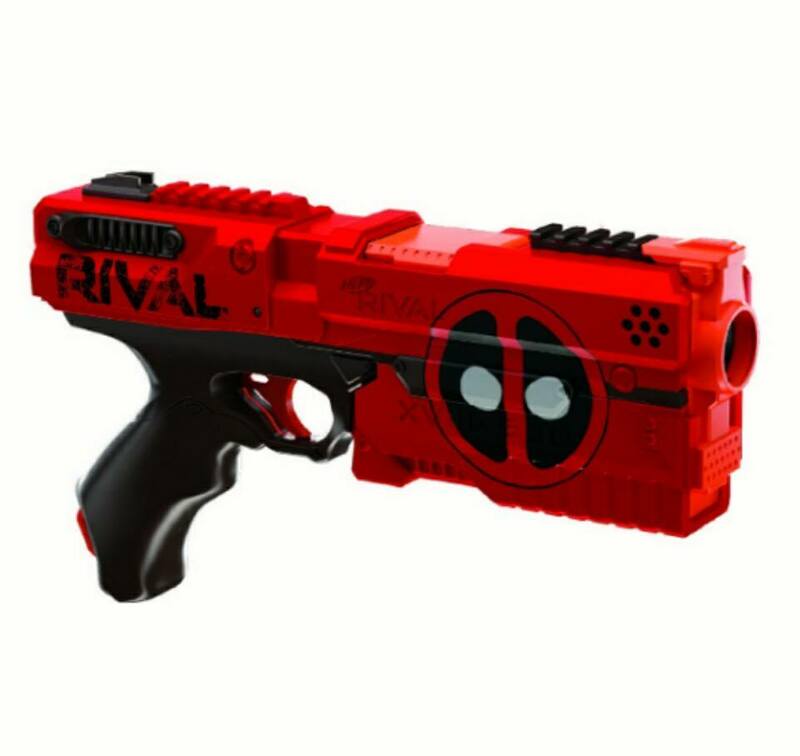 It’s Nerf Rival meets Deadpool, and that means the battle will never, ever be the same. These 2 blasters have the look — and the snarkiness — of Deadpool, that don’t-call-me-a-hero bad boy from Marvel Comics. Open the breech to load 5 high-impact rounds into each blaster, then prime them with the spring-action cocking mechanism, take aim, and blam go the badder guys! Each blaster sends the rounds blasting into battle at 90 feet per second (27 meters per second). The blasters also have a trigger lock and tactical rail. The special edition box captures the personality of Deadpool with scribbled comments and cross-outs “written” on the box as if by Deadpool himself, and is designed for displaying and storing the blasters, rounds, and taco-shaped instructions. 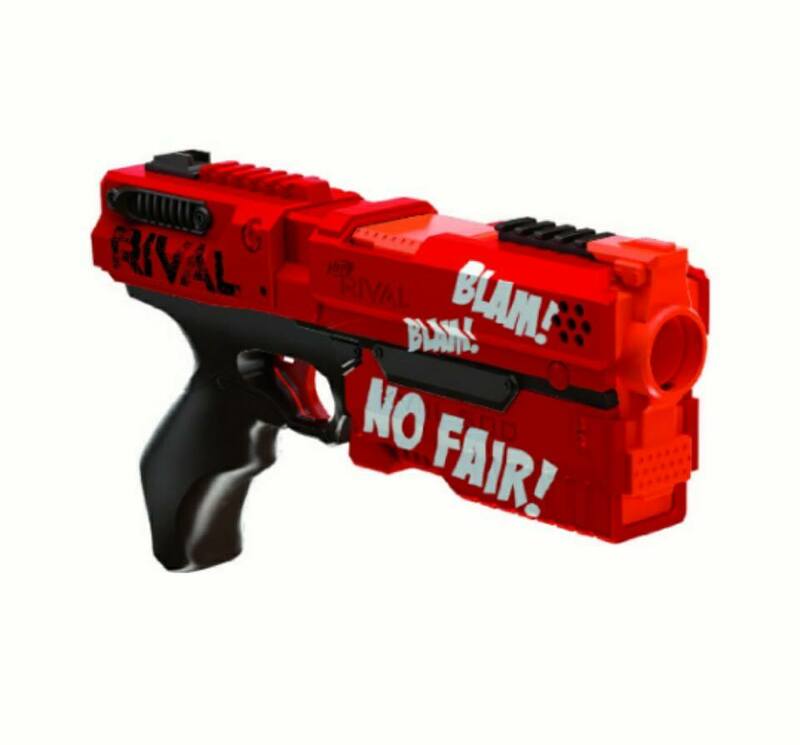 Experience the intensity and attitude of the Nerf Rival Deadpool Kronos XVIII-500 blaster 2-pack! Available Spring 2018 exclusively at GameStop and Best Buy.